Waffles are tasty and easy to make. You will need your waffle iron to prepare it. Mix flour and baking powder along with pinch of salt in a bowl. You can top it with maple syrup, serve hot. 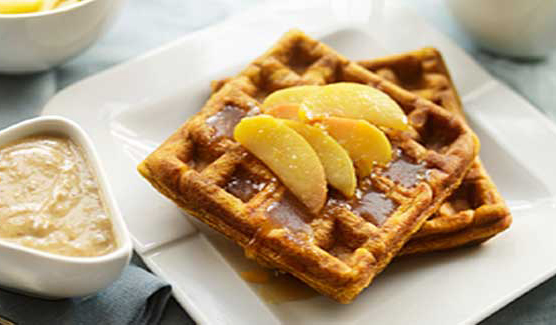 There are plenty of healthy breakfast options but there is nothing like tasty, delicious apple raspberry waffles. 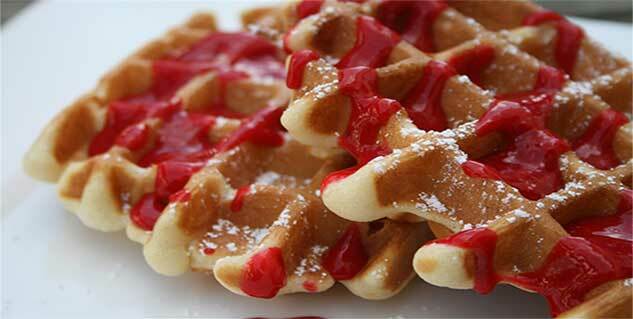 Would you like to make apple raspberry waffles at home? Try this recipe and we bet you will enjoy making it and love eating. Preheat your waffle iron. Mix flour and baking powder along with pinch of salt in a bowl. Now separate egg whites from egg yolk. Mix the latter with milk and add dry ingredients to it. Now mix all the ingredients thoroughly until they are blended nicely. Now apple the apple and cut it into pieces. Now add these apple pieces and raspberries in melted butter. Stir them nicely. Now beat the egg whites with the whisk until it becomes stiff and fold it into the batter. Make sure it does not get dry. Once you are done with this step, lightly butter the grids of your waffle iron is necessary. Now it’s time that you spoon batter out onto waffle iron. Close lid and bake until it turn brown and crisp. Top with maple syrup, served best when hot.